Choosing Hardwood Floors is giving character to an environment, providing the personality that distinguishes it. In the choice of wooden floors, there are no immutable and absolutely true laws. Everything depends on the space and the environment that must be Paved, by the needs to be met and by the aesthetic taste. But there are general rules, good practices, which can help in the decision to make a safe and informed purchase. 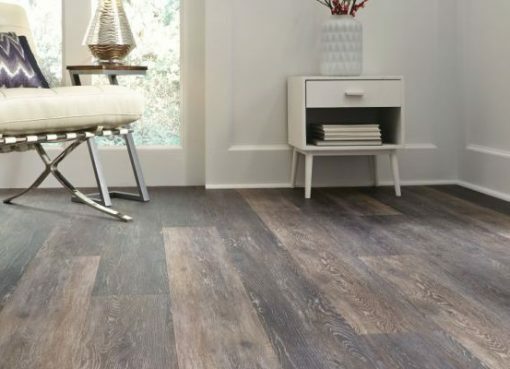 Evaluating the thickness of the planks is very important to harmonize the floor of the room that will be covered with that of adjacent rooms, without generating steps or small differences in height. The choice of the thickness of the boards also influences their resistance to shocks, sound absorption, solidity and general stability of the floor. The thickness of the boards should always be considered in proportion to their size. Wooden floors with wide, long but above all wide boards are very popular today. It is a great way to enhance the interior space of a room, enjoy the natural patterns of wood and get a cozy and pleasant environment. This solution is particularly suitable for medium or wide spaces in which the visible floor surface is extended. The panorama of workings and finishes that can be done on the raw table is extremely wide. These interventions give character to the Hardwood Floors and allow you to personalize it. It is very important at this stage to rely on the advice of an expert who can direct you to the solution that best suits your needs and can make you understand the specific advantages of each process. There are interventions that change the surface of the boards such as sanding, brushing, and planning. Finishing interventions such as oil, paint or dye finishing intervene, instead, on the color, resistance, and design of the parquet. Depending on the characteristics of the space to be Paved you can opt for glued laying, floating or nailed pose. The type of lying is influenced a lot by the thickness of the boards, for 10 mm boards it is very recommended the glued laying, for the floating one larger board are required. Before deciding the type of installation it is essential to have an inspection carried out by an expert to determine the best solution in relation to the environment that will house the floor and the type of material chosen. The wooden floor is a floor par excellence. Elegant, natural and pleasant is an element of furniture and design that comes from an ancient tradition and is perfectly suited to modern environments. The Hardwood Floors are extremely varied and versatile in colors and shapes. The wood species can be worked and adapted to any type of indoor and outdoor environment. The wooden floor is a solution for furniture that can satisfy any need and any taste: from those who prefer the parquet floors composed of small strips to those who love the airy floors formed by long slender tables, by lovers of exotic woods and their brown color, to fans of traditional Italian essences. Wood is a natural element that, when integrated into space, conveys a feeling of serenity and well-being to those who live in the environment. It is a living and vital material capable of protecting and welcoming, suitable to create welcoming places where it is pleasant to spend your time. The Hardwood Floorsguarantee an extreme personalization of the spaces. From an architectural and formal point of view it is possible to play with the shapes and the dimensions of the boards that make up the floor and create the most varied fantasies. Following a good design, it is possible to make a wooden covering for each surface. Each wood essence has its specific and unique qualities; it is up to those who create the flooring to choose which best embodies their aesthetic and functional needs. 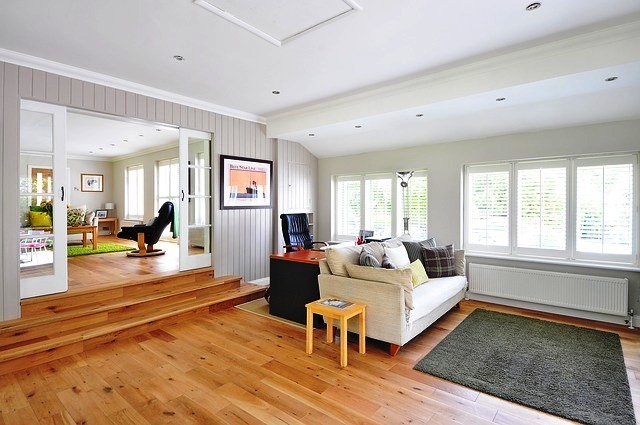 The wooden floors are suitable for any type of environment whether internal or external. The endless range of colors provided by the different essences allows you to choose the color that best suits you and, if the natural ones are not enough, the wooden floors can be painted, treated and processed to obtain any kind of effect to enhance the color, grain of the surface or the design of the veins. A wooden floor is perfectly combined with traditional and elegant spaces and houses, as it is perfect to give a touch of class to modern and design environments. The most evident aesthetic element on the boards of parquet is represented by the veins and textures that the wood fiber naturally draws and which can be cleverly enhanced by refined processing processes. A space covered with wooden flooring is certainly beautiful, refined and prestigious. Wood communicates emotions. A wooden floor is an element that fills spaces in a vital way. The perfumes and colors of the essences heat and characterize the environments with power and delicacy.